Any outdoor activity such as skiing, horse riding, walk your dog, cycling or other activities is no fun, when you are cold. The hands will be the first to suffer. 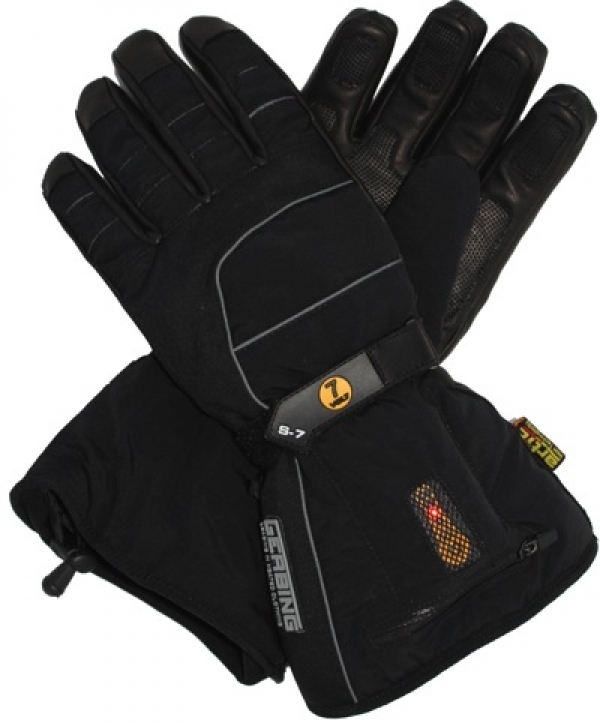 For all these people we have heated gloves, powered by 7 volt batteries with a built in temperature controller. Recently Gerbing have developed a European patent pending 7 volt Junior Controller, which can be connected to a vehicle. This means that your 7 volt heated gloves now can also be connected to your bike, car or boat. All of the 7 volt heated gloves come with a kit of lightweight, powerful 7 volt rechargeable lithium batteries which are included that are conveniently stored on zippered pockets on the cuff of the gloves. A transparent window gives you access to the power level settings button allowing you to select your own personal level of thermal comfort on every set of heated gloves you are going to use. The highest level will provide an intense heat output for a minimum of two hours and the lowest setting up to 10 hours of heat. If you intend to use our heated gloves on high speed or high altitude check out our red 12 volt section of heated gloves. Connected to a vehicles battery, the 12 volt heated gloves will get much warmer than our 7 volt heated gloves connected to the 7 volt batteries which are included. These heated gloves are heated on the top of the hand, fingers, around the thumb but also on the palm of the hands. This makes the S-7 heated glove unique in our 7 volt gloves collection. The gloves not only keep you warm but are also constructed with a waterproof/breathable liner to keep you dry. The S-7 heated gloves and the M-7 Mittens are textile gloves unlike the O-7 heated gloves and the H-7 heated gloves, which are leather heated gloves. Includes two 7V, 2.2 Ah rechargeable lithium-ion batteries and a dual charger. A green indicator light will let you know when the batteries are fully charged which is nomaly between three to five hours depending on how discharged the batteries were to begin with. 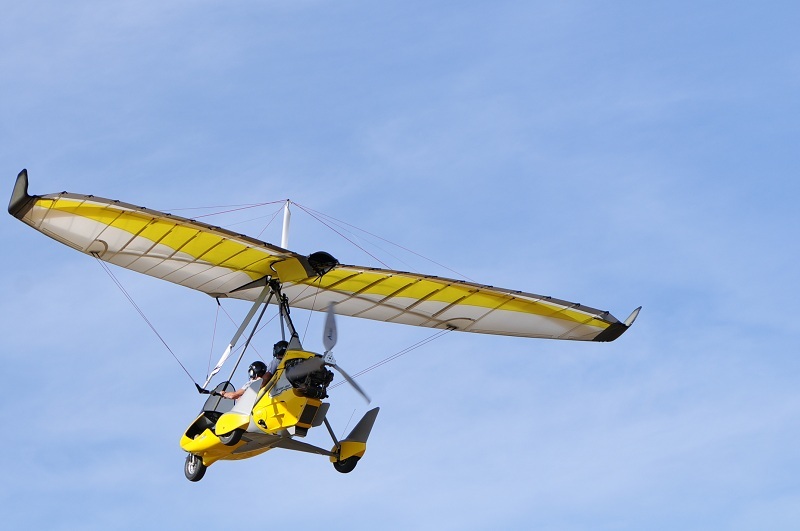 Operated by two 7 volt batteries which can be charged by a dual charger (B7V-2500 KIT). Extra leather on the palm for better grip and feel. Hipora™ waterproof, breathable membrane to keep your hands dry. Thinsulate™ insulation for extra warmth and dexterity. Adjustable wrist enclosure and special pocket for battery.. Available in the sizes XXS till XXL. These heated gloves are not designed to be used on motorcycles. 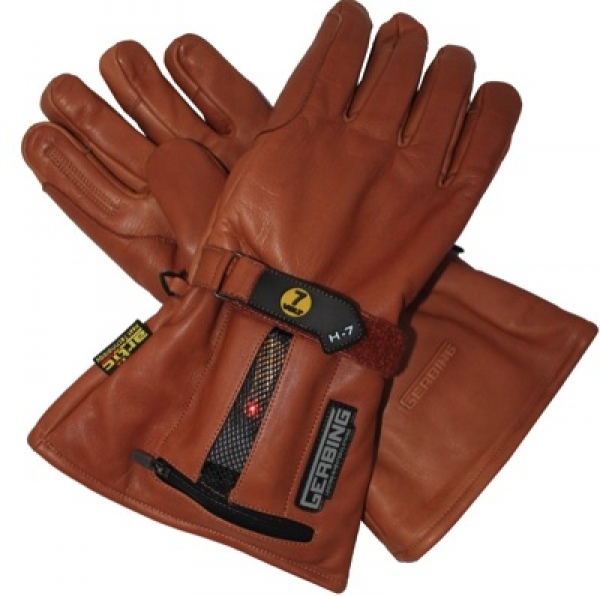 These H-7 heated gloves are specially made for outdoor use such as riding a horse or hunting. With the possibility to cut a small line in the index finger you are able to shoot and stay warm at the same time. These gloves are completely made out of smooth brown full-analine leather. They are very flexible and the look is very sophistigated. 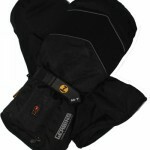 The H-7 heated gloves can be used for all kinds off other outdoor activities as well. Operated by powerful, rechargeable 7volt Lithium battery with microprocessor controlled technolog. With these gloves 2 batteries and one dual charger is included (B7V-2500 KIT). Brown full analine 0,6mm leather heated gloves. Thinsulate insulation for added warmth and dexterity. The glove heats the entire length of each finger, including the thumb, as well as the back of the hand. These 7 volt gloves can also be connected to a vehicles batttery witht he patent pending 12 volt / 7 volt junior controller. 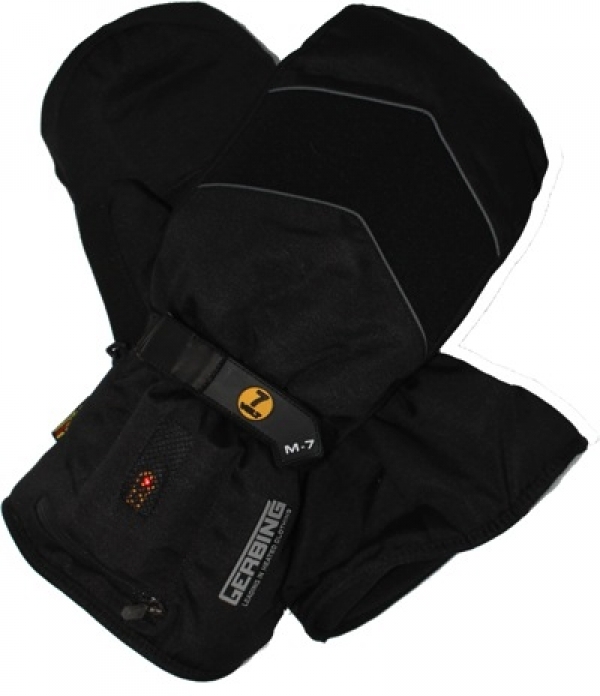 These O-7 heated gloves are specialy made for outdoor activities such as riding a scooter or bicycle. Even a walk in the park will give much more pleasure with these 7 volt heated gloves. Unlike the S-7 heated gloves and the M-7 heated mitts, the O-7 (also the H-7 glove) is made of full analine leather instead of textile. Together with our 7 volt heated jacket you will never be bothered by cold again and you can enjoy any activity you like. Those heated gloves looks nice and stylish because of the nubuck leather. Operated by powerful, rechargeable 7volt Lithium battery with microprocessor controlled technology (INCLUDED). Thinsulate insulation for extra warmth and dexterity. Included 2 batteries and charger (B7V-2500KIT). Available in the sizes XXS till XXXL. Made of black nubuk leather. You can also connect the O-7 heated gloves to a 12 volt battery cable with our new Patent Pending 7 volt junior controller. The O-7 gloves are not suitable for use on a motorcycle. If you are interested in gloves for motorcycle or other high-speed use you can look at our 12 volt heated gloves collection. 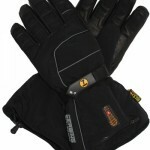 The heated mittens made by Gerbing are the most economical battery powered heated gloves Gerbing has to offer. The M-7 heated mittens are powered by two 7 volt batteries which can be charged by a dual charger (B7V-2500 KIT0. Waterproof, breathable membrane to keep your hands dry. Extra cold-resistant insulation for added warmth. Goatskin palm for grip and durability. Brushed polyester shell with water resistant coating. Polyester fleece interior is soft and comfortable. Available in three sizes. Size S, L and XXL. This product is not designed to be used on motorcycles. Including a B7V2500 battery KIT. If the heated mittens are to bulky you can also look at other 7 volt gloves in our collection, like the S-7 heated gloves, O-7 heated gloves or our H-7 heated gloves. In combination with our 7 volt heated jacket you will never be cold again.